It’s official, the season is underway. 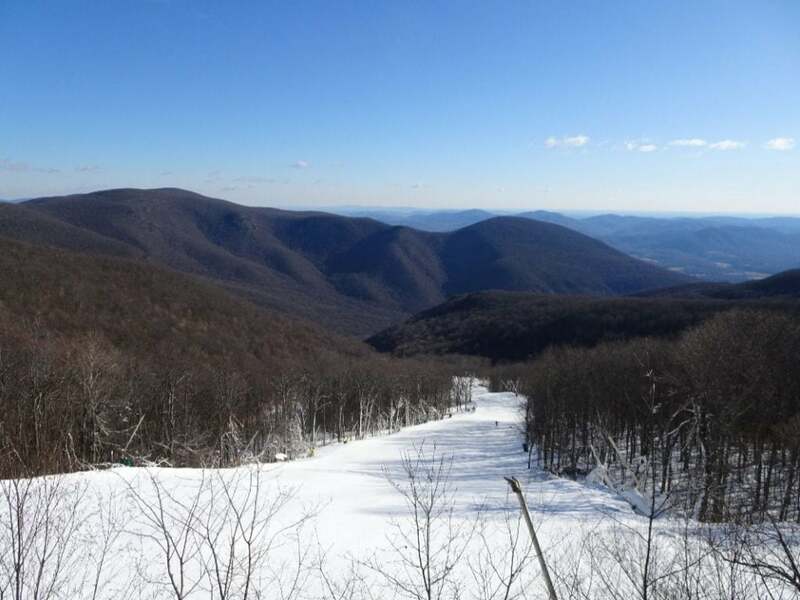 Mike has already been reporting on openings around the area; and closings, which is the nature of early season skiing in the Southeast. Some mountains choose to keep piling up their snow resources for the largest possible opening trail count, while others open things up with whatever runs they can offer for an early day or two. I appreciate both approaches and while days have been available to ski, I have not made my first foray yet; but soon, very soon, I will. In the meantime, I pore over pictures and memories from last year. And as I reopen the flash drives and memory cards, I’m a little overwhelmed; did I actually ski or just take pictures? Thanks to the wonders of digital technology, I have several gigabytes of unfiltered mayhem. I suspect I’m not the only person buried in a digital backlog and maybe it’s time to delete the odd thousand images or so. In fact, I sat down to make an effort, but soon became distracted by the long white stretch of last year’s snow. And with Thanksgiving upon us, and trails opening across the region; I thought I’d share a little stoke to fan the flames of expectation for the season that lies ahead. Rather than “sharing” everything (I can assure you that no one needs that) I’ll stick to some representative days spent here in the Southeast, and some runs I want to repeat this year. Ah yes, that beautiful first day, the opening calendar point of a brand new ski season; it makes so little difference where you get it or how much snow they got. The first day is magic every time “Look, we’re sliding, on sticks, on snow!” It’s a fresh surprise each year, such a crazy and unlikely thing to do. And that first turn? Well the fact that it can happen at all, never ceases to amaze. Last year my opening day was spent on top to bottom runs at Beech mountain, and as usual friends and familiar faces were easy to find. I don’t know where I’ll start this year, could be at Beech again, although Cataloochee is always a strong contender. However, I have a proposal looking ahead; let’s revive the Beech Summit. It is a SkiSoutheast tradition that has been sadly missed of late. Meantime I’m looking forward to my first ride on Beech’s new lift. As the season moved forward and all the mountains had opened, I got some more good days at Beech and at their high country neighbor, Sugar Mountain. Runs down Gunther’s way with its wide, pitched rollovers are a blast but it’s the opening of their three steeps at the top that I look forward to the most. A word about the North Carolina high country before I leave the state. While nowhere in the Southeast, or south of New England for that matter, has high numbers in the category of vertical feet; proximity does yield variety. Between Appalachian, Beech and Sugar you can sample a lot of trails in a weekend. I regularly split my time into a half day at two locations. It feels like cheating the calendar, a weekend distilled into a day. I live in central North Carolina and it’s about an equal drive for me to the high country here or the Blue Ridge in Virginia, so I usually make day trips in both directions. 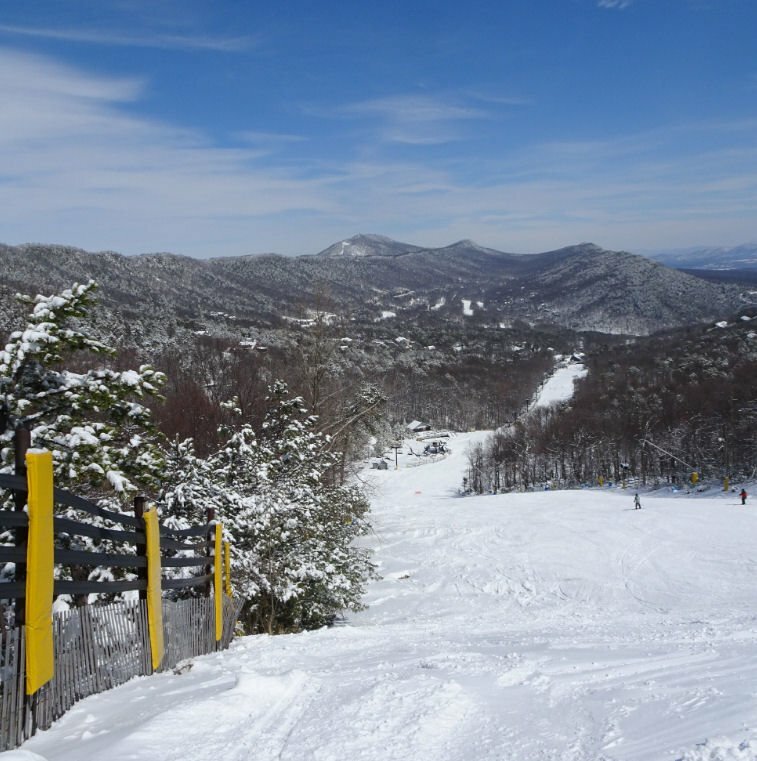 My sons’ first overnight trips were spent at Wintergreen Resort and sharing that time (and affordable slopeside lodging) made it a special place for me. For no good reason I had neglected it for years but have returned the last two seasons and I’ll be back this year. In fact, today I plan on purchasing their four pack, Mission Afourdable, and I’ve encouraged friends to do the same so we can all pile into cars for a snow day or for short notice trips on weekends. Hurry, the deal expires the 22nd. My last day of the season took me a little further north in Virginia to Massanutten. I visited there after a decade of intending to check it out. Now, I’m hooked. It is often overlooked but without a doubt one of the best resorts in our region, completely worth the trip. Although West Virginia is a significantly farther drive for me, as usual I spent half my ski days there. 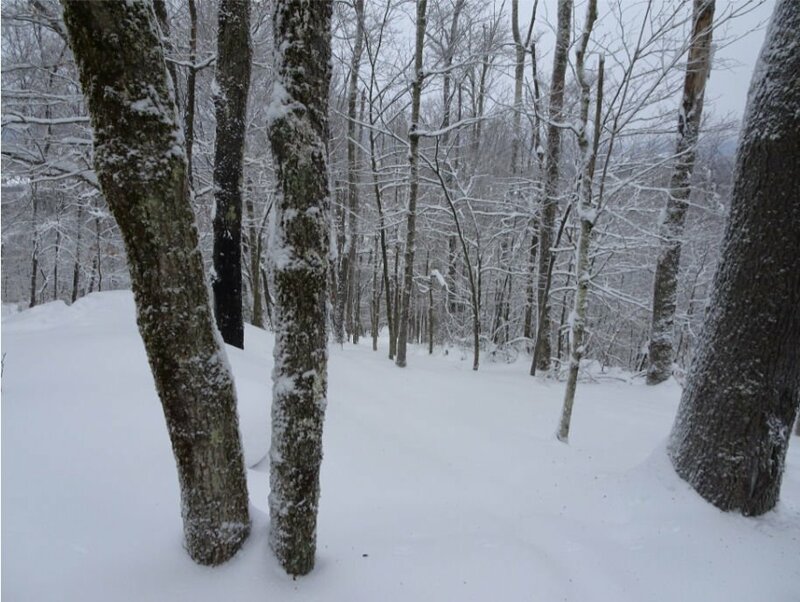 It has become a sure bet that I will attend the annual Snowshoe Summit, basically a SkiSoutheast party to which everyone is invited each March. 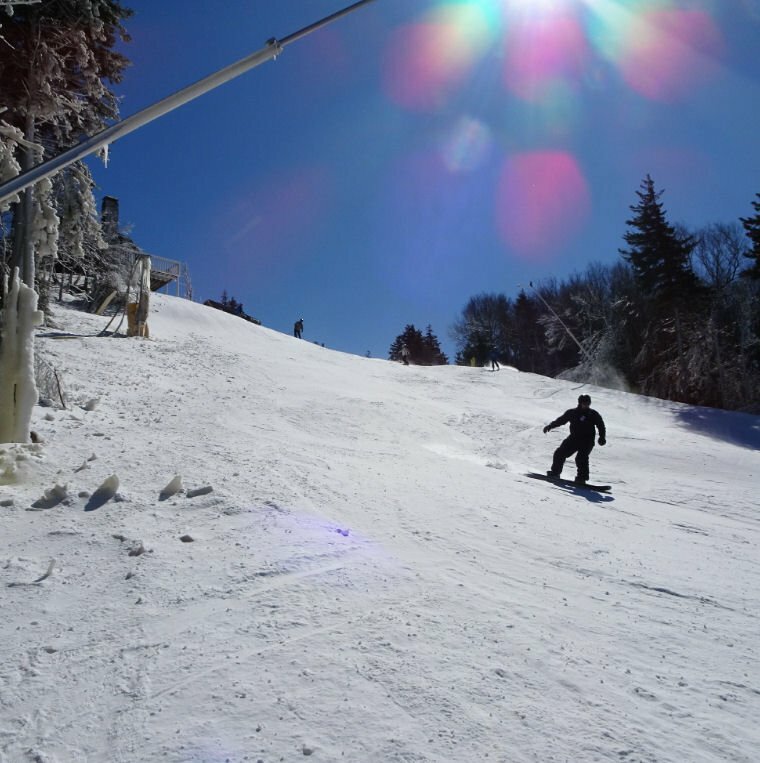 The tradition has lately been favored with great conditions, sometimes just in time for the summit and the millions (yes millions) that Snowshoe has invested this year in snowmaking infrastructure should yield amazing results. At the end of last season, in one night, they were able to change their signature Cupp Run from barely passable to nearly perfect. The added improvements are going to be jaw-dropping and I expect the results will be evident as soon as they open. I think December could be epic and I plan to get many days well in advance of the summit this year. 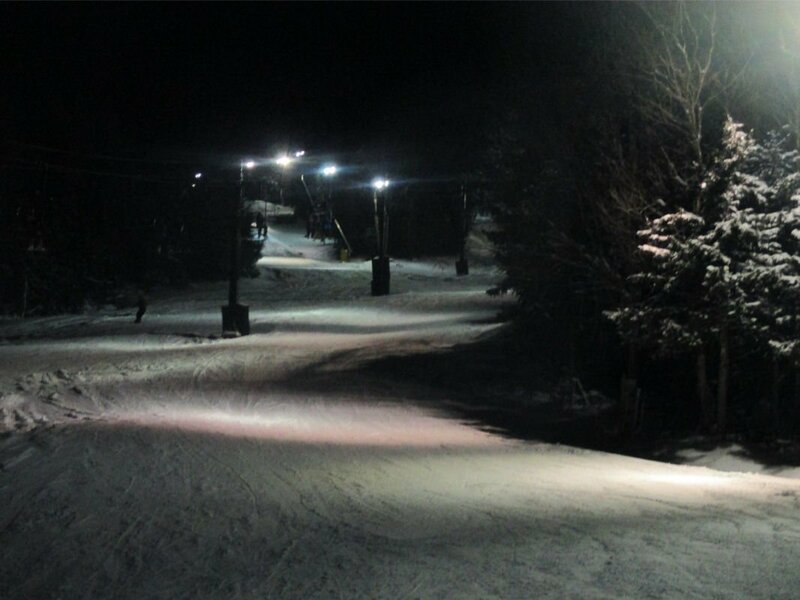 Cupp last March, it was 2 yards wide 24 hours before, and that was with snowmaking prior to the new investments! Oh, and did I mention nights? 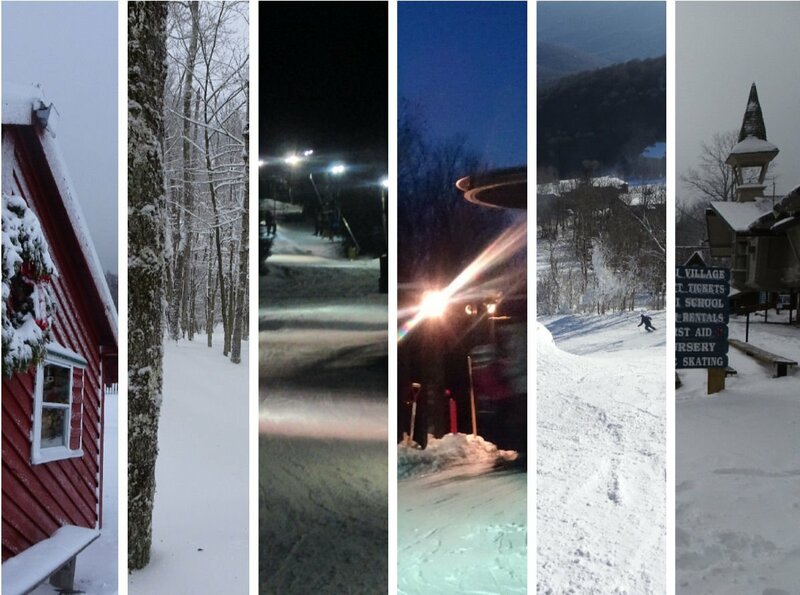 Some of my favorite days each season are spent after dark. Snowshoe is already piling up snow on Silver Creek, so get some clear lenses ready for your goggles. Keep in mind the 3-for-all roadshow is still underway. It’s a killer deal so check for the stop near you. For me that would be in Raleigh on Dec. 2, but there are several other locations before that. If you love trees you will find fulfillment in West Virginia’s Canaan Valley. 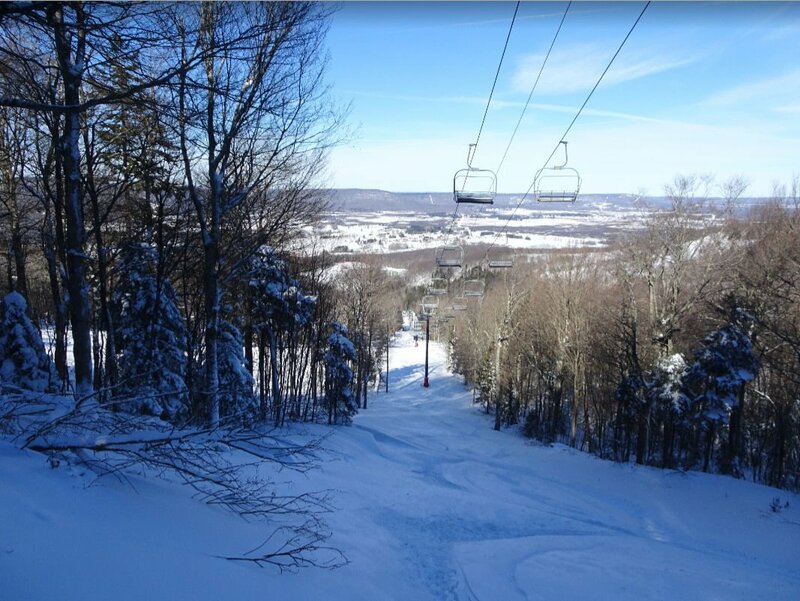 Timberline has the best lift served glade skiing south of the Catskills, although I hear parts of Pennsylvania come close. 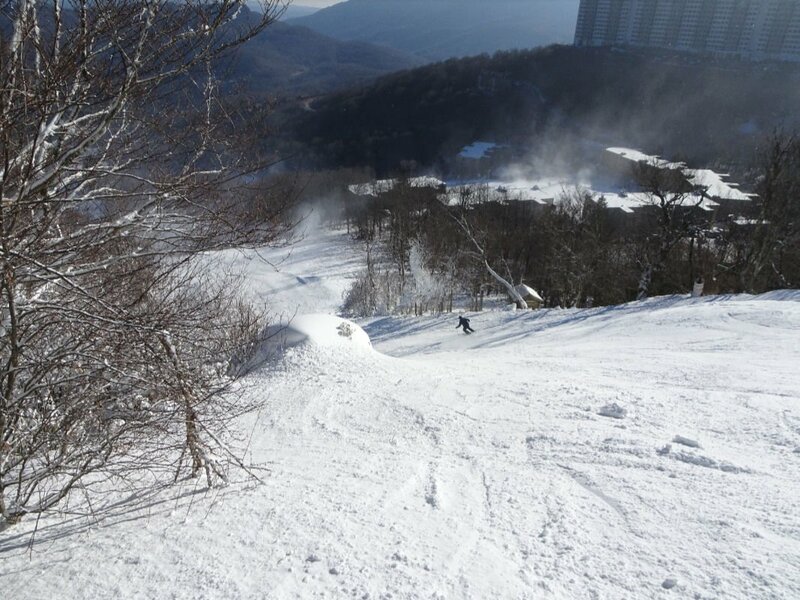 Canaan Valley Resort has also made glade runs a greater priority and will open runs with natural coverage sooner and longer than anyone else in the region. Whitegrass is a true treasure and famous nationwide; oddly it may be more well known by skiers outside the Southeast than by most of us who live here. When I wear my Whitegrass beanie out West, someone’s face (on one occasion Glen Plake’s) always lights up with a memory of those woods, the little red lodge, and Chip Case, tree-hugger extraordinaire. As always, my best days skiing in the Southeast last season were found in the valley. 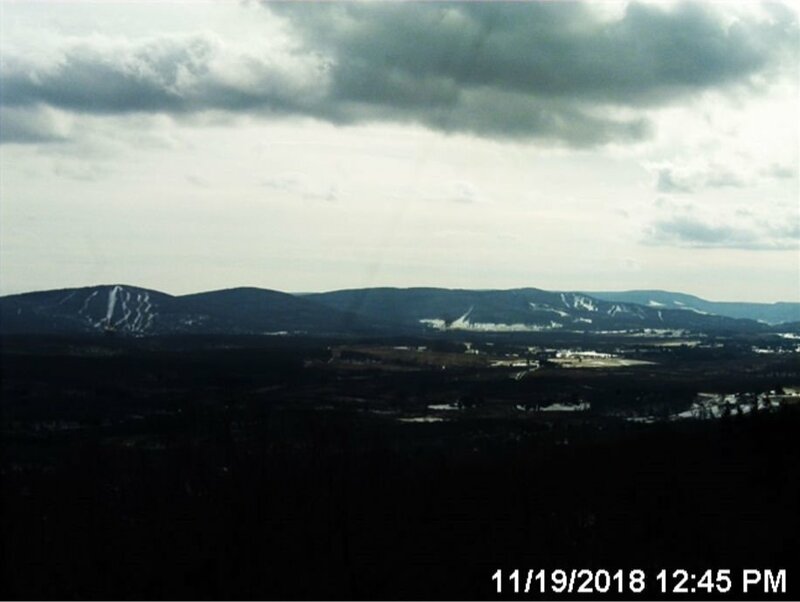 And talk about proximity; Canaan Valley Resort, Timberline and Whitegrass Touring Center are about a snowball throw apart (you need a good arm.) In fact, you can see them all at once from the Dolly Sods Webcam across the valley, and I already want to go. 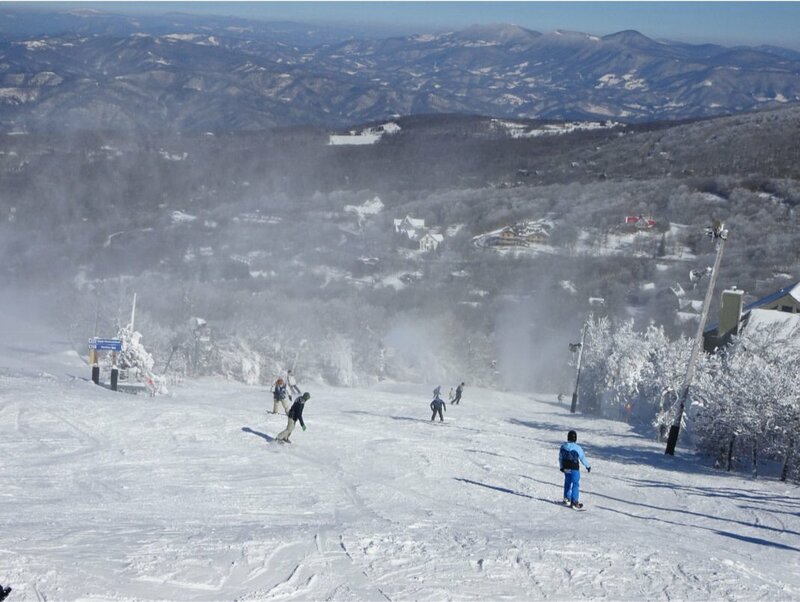 If you spend a long weekend you can add a day trip up to Wisp in Maryland which you also may have been wanting to try. When I stay in Thomas, I can drive to Wisp in 1 ½ hours; four mountains in three days is a challenge I relish. It’s been a little while since I pulled it off, but I will try again this season. 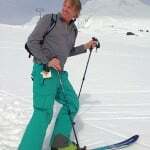 So fellow skiers, enjoy your turkey, digest for a bit and then let’s meet on the slopes sometime very soon. Previous articleTemps Range from 32° to 42° This Morning. Light Snow Falling As Well.